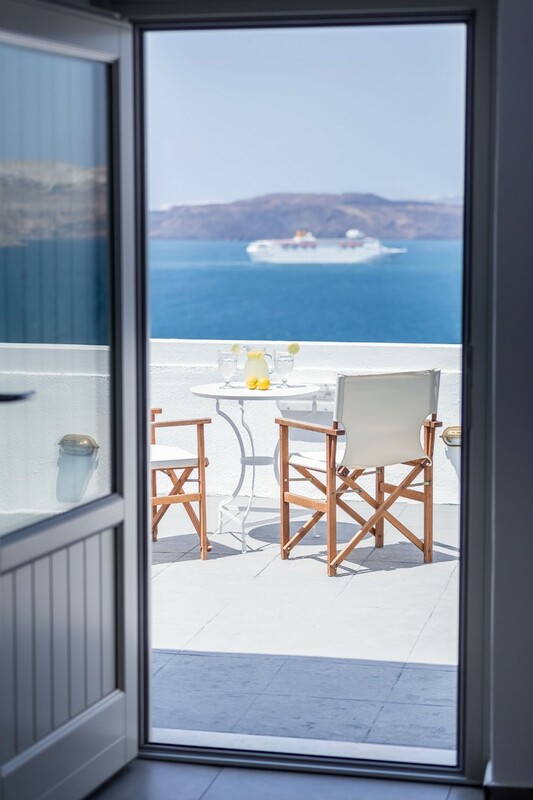 The Goulielmos Hotel is a small family-run hotel located in one of the most beautiful positions on the caldera rim of Santorini. 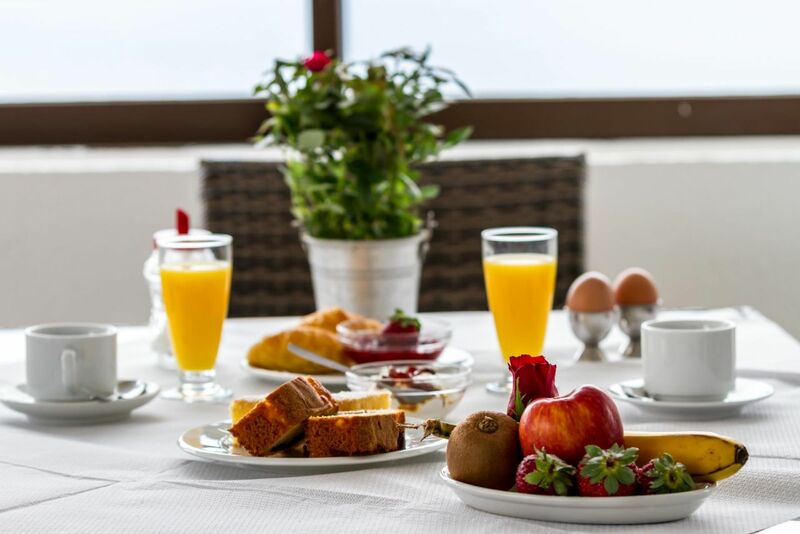 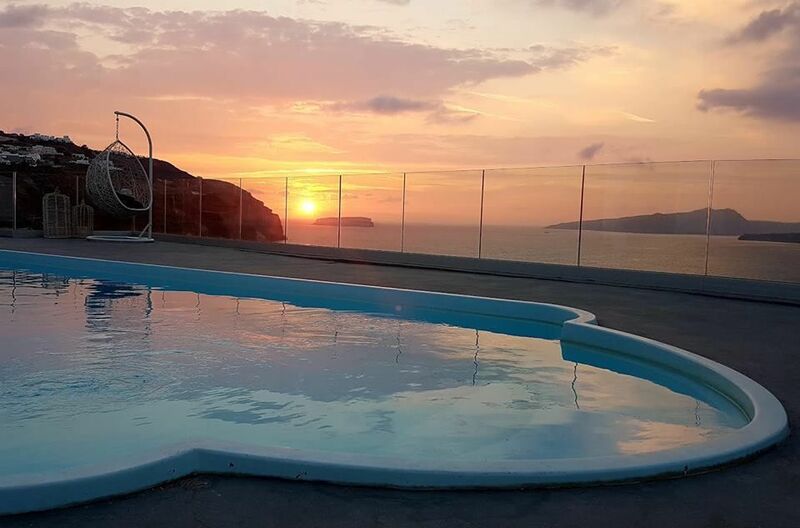 The Hotel has 27 spacious rooms all with private bathroom, most of which have a private balcony or terrace with fantastic views over the caldera and the volcanic islands. 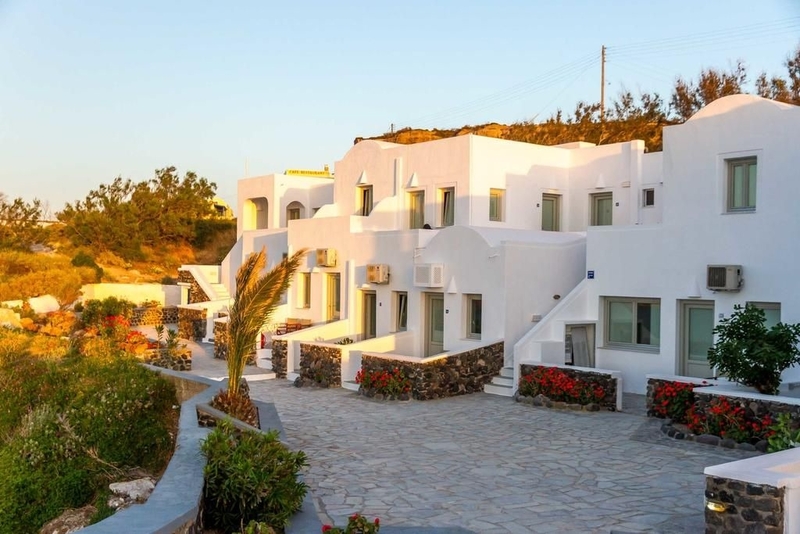 A small road leads to a beautiful, and uncrowded small beach just below the hotel. 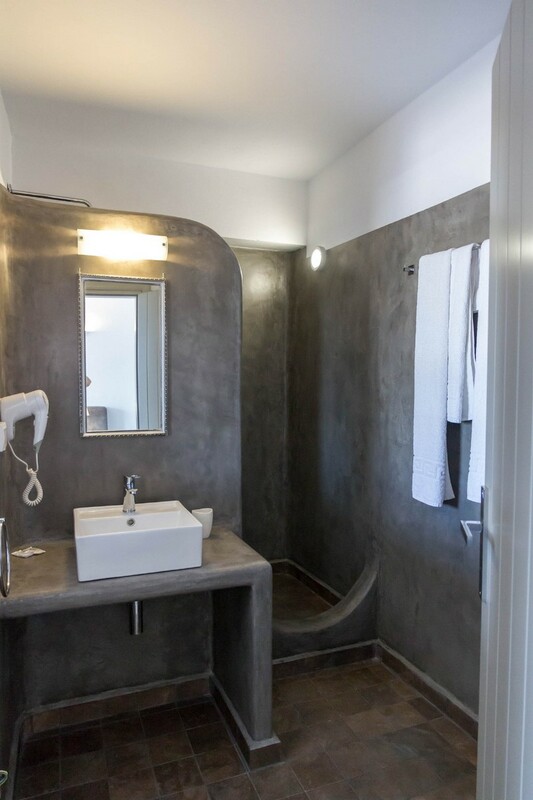 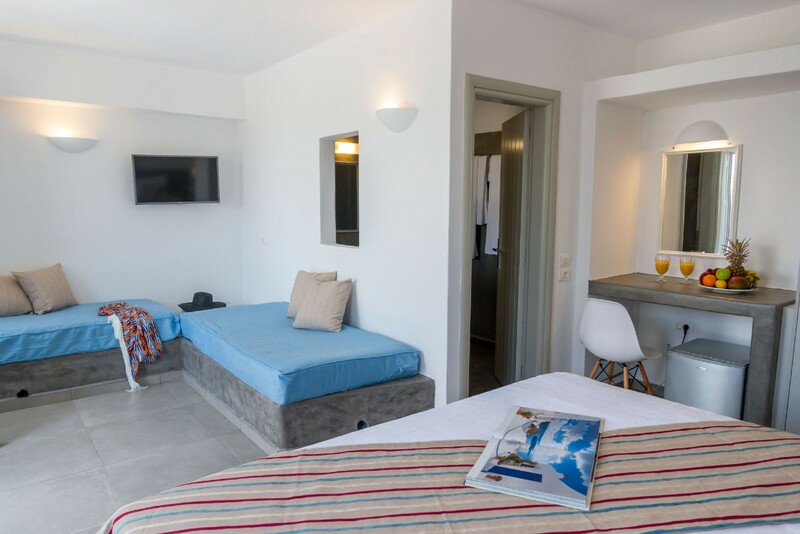 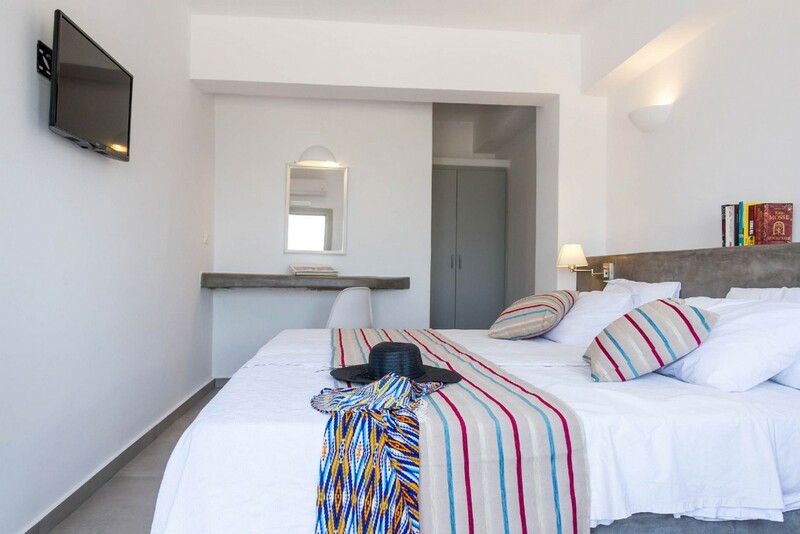 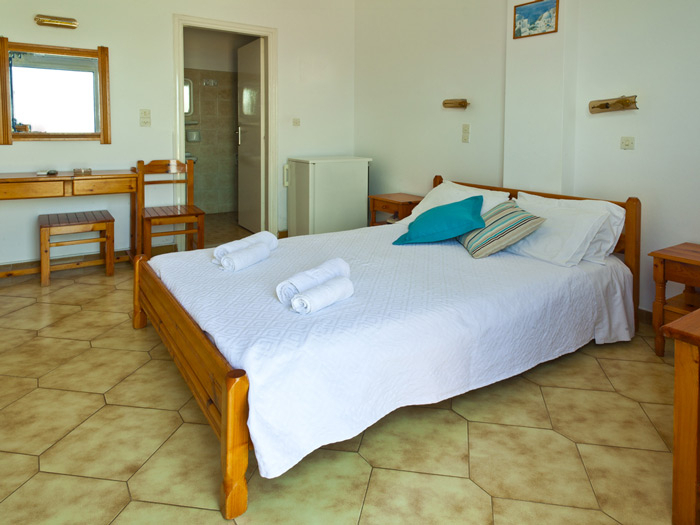 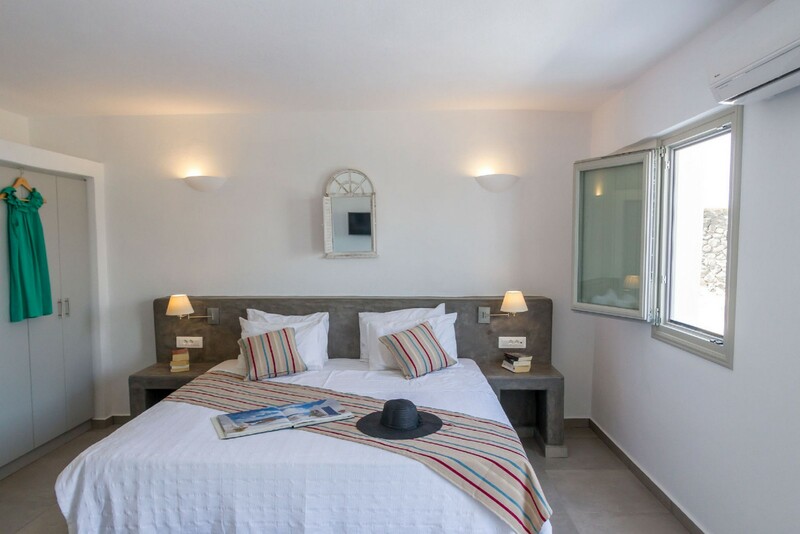 The Hotel is located near the uncrowded traditional village of Akrotiri, just a kilometer from the world-famous Bronze-Age excavations and close to the nicest beaches on the island. 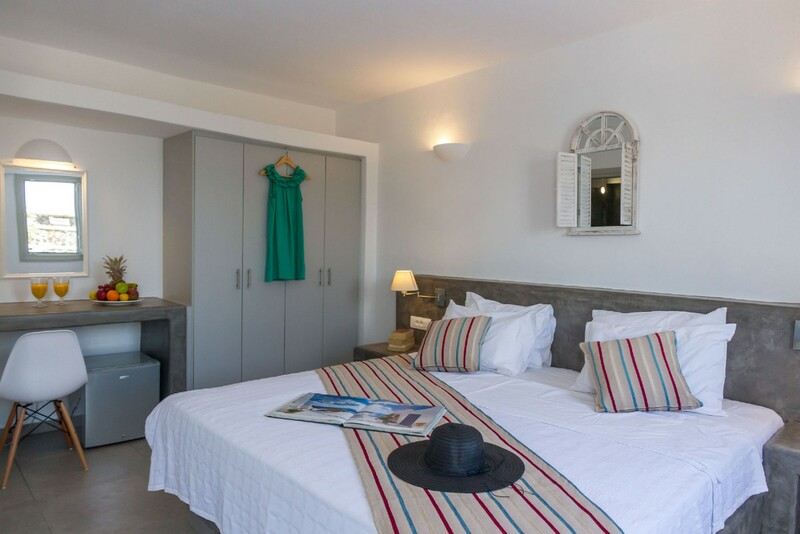 Room Surface :14sqm Beds Type :2 Single Beds/1 Double Bed Beautifully decorated room with a TV, mini fridge and a private bathroom with shower and hairdryer. 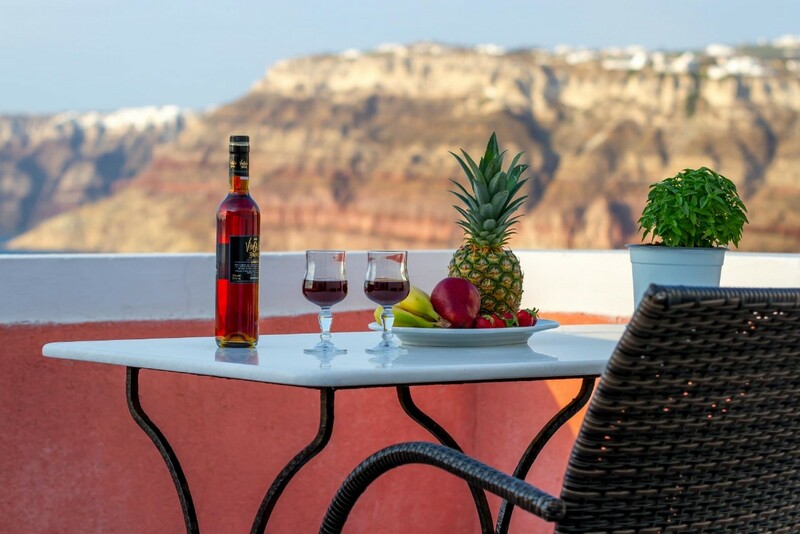 It has a private terrace overlooking the garden and a communal furnished terrace overlooking the Caldera. 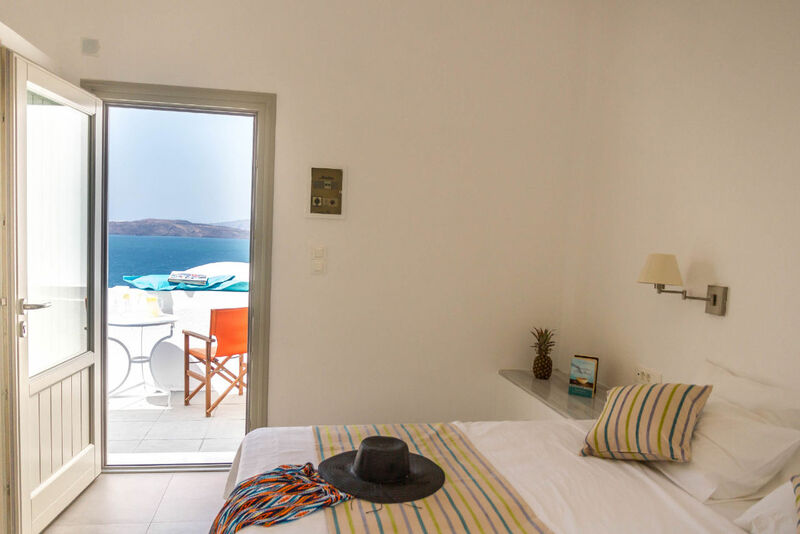 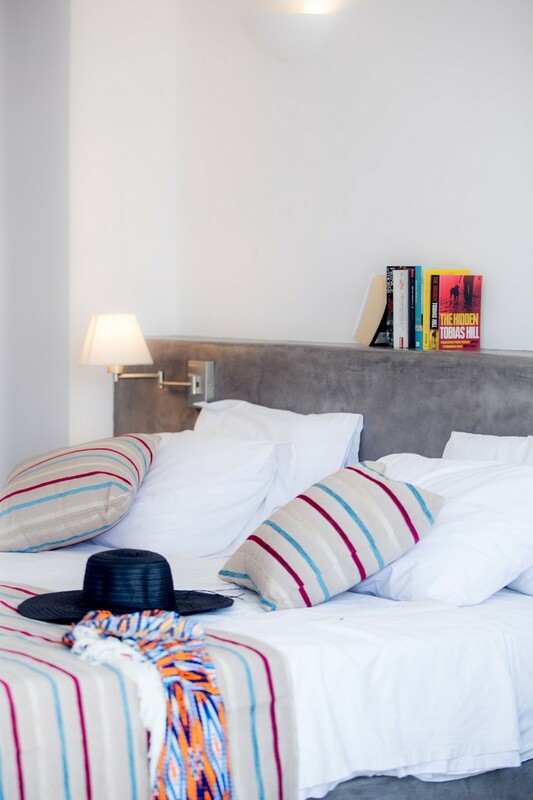 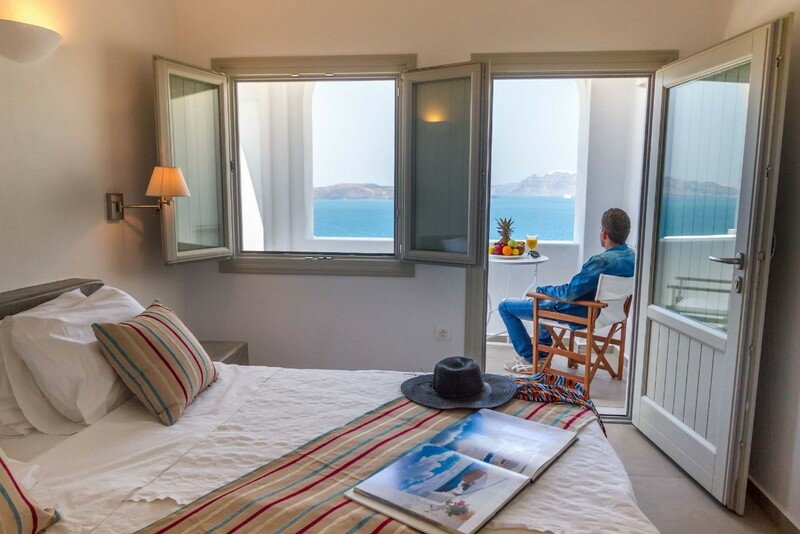 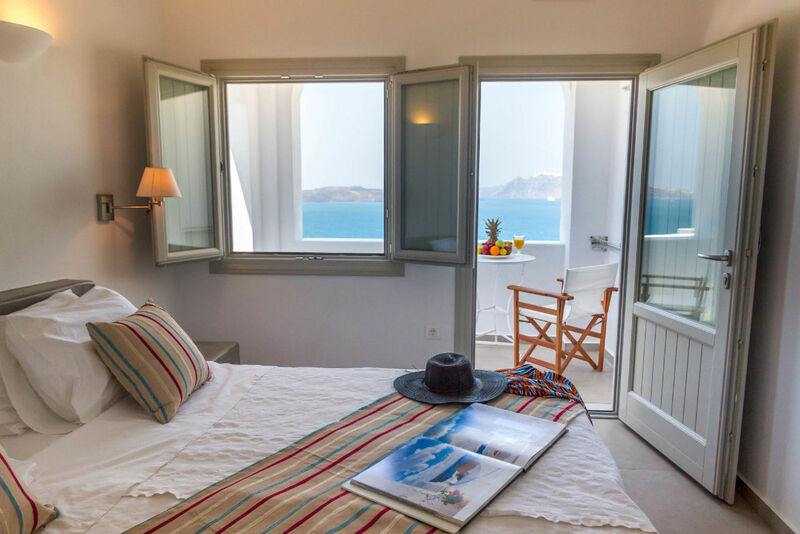 Room Size: 60 m² Beds Type : 2 Single Beds , 1 Double Bed Tastefully decorated room has views of the caldera and Aegean Sea from its patio or balcony. 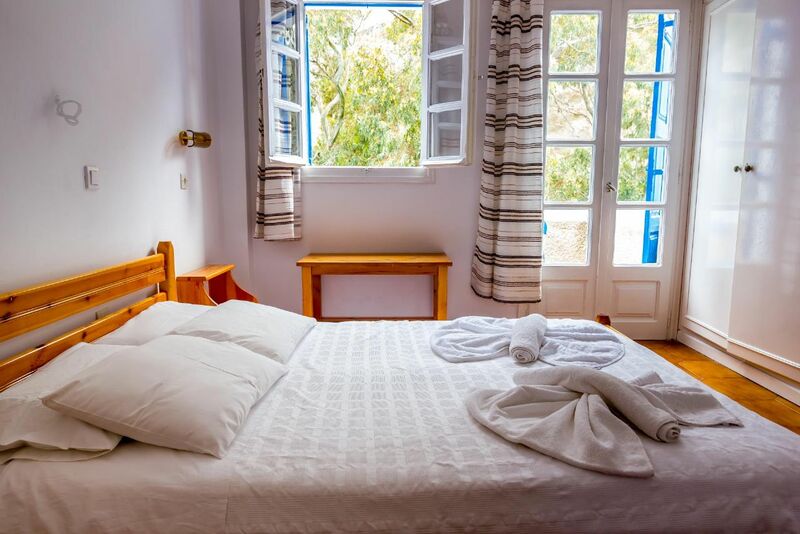 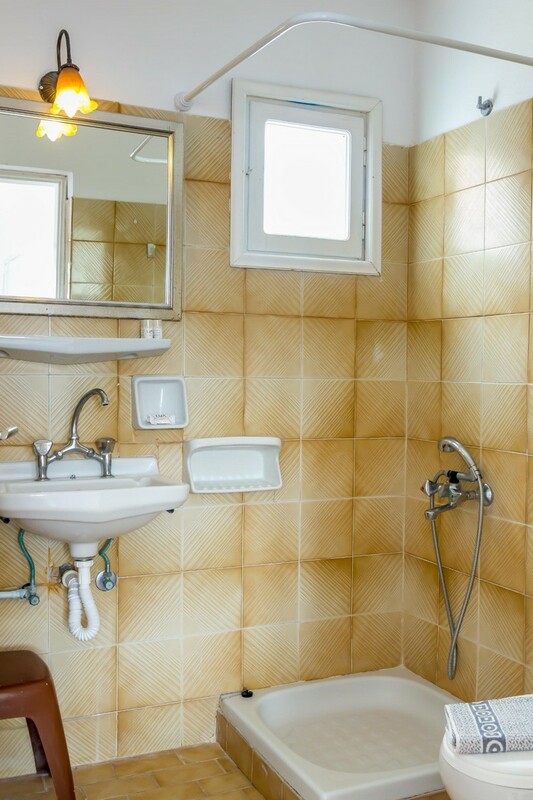 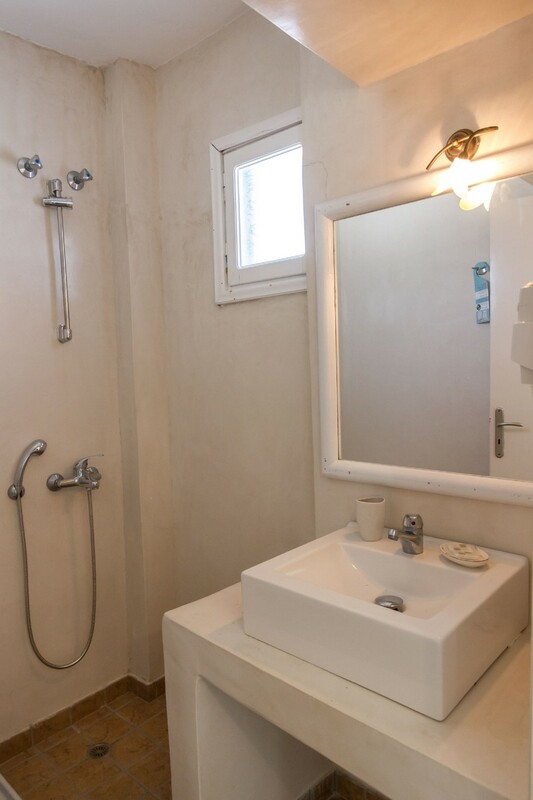 Room Surface : 15sqm Beds Type : 2 Single Beds / 1 Double Bed Beautifully decorated and larger room with a TV, mini fridge and a private bathroom with shower and hairdryer. 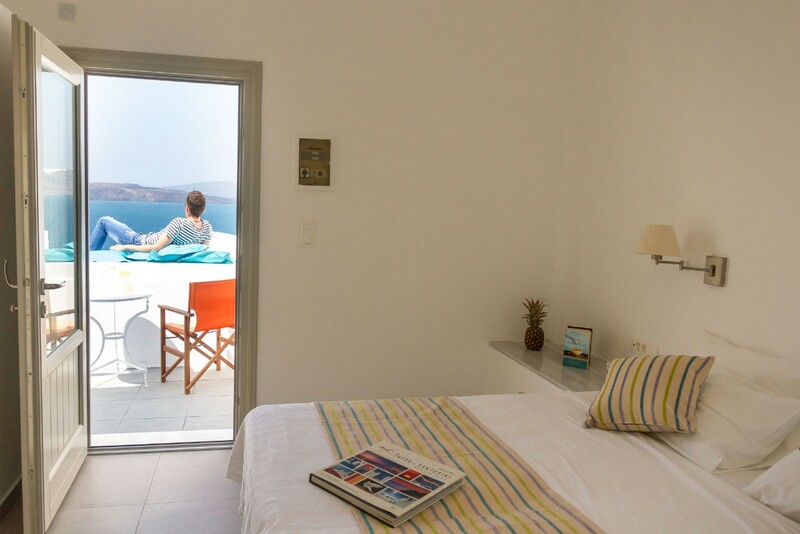 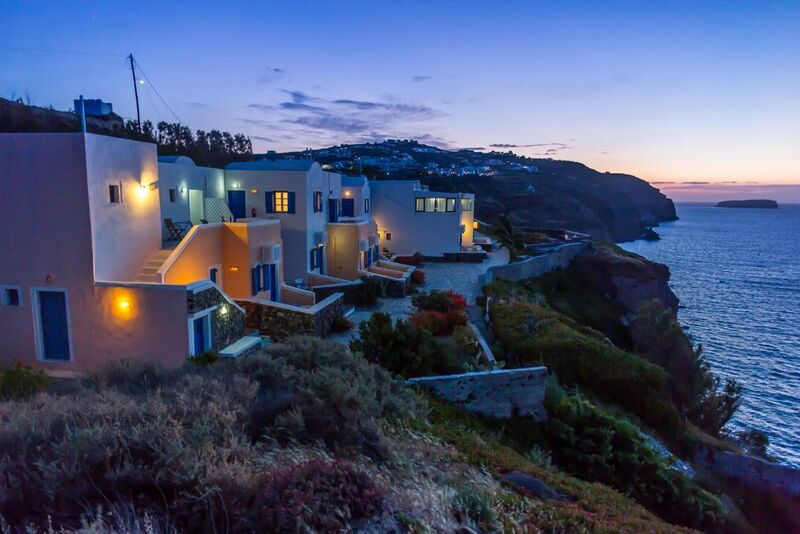 It has a private terrace overlooking the Caldera and the Aegean. 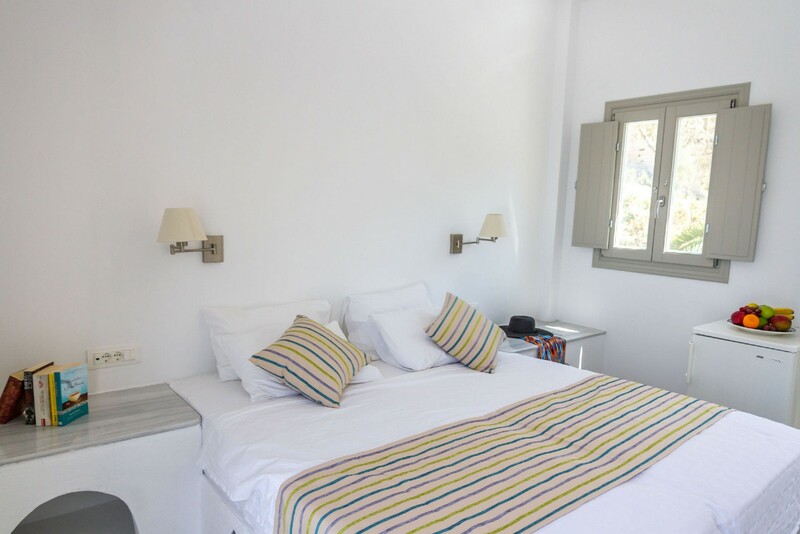 Room Surface : 15sqm Bed Type : 2 Single Beds / 1 Double Bed Beautifully decorated and larger room with a TV, mini fridge and a private bathroom with shower and hairdryer. 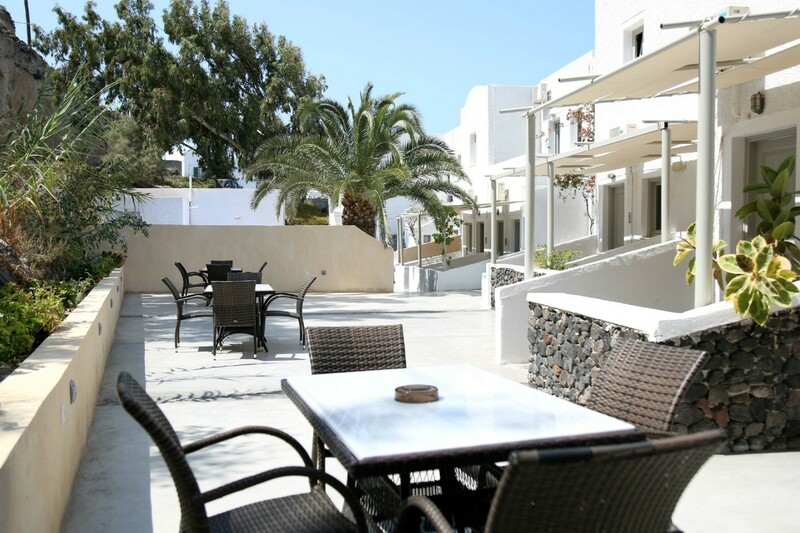 It has a private terrace overlooking the garden and a communal furnished terrace overlooking the Caldera.